Patient Belonging Bags | Innovatek Medical Inc. 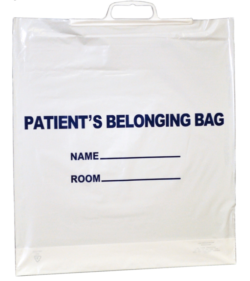 Patient belonging bags to collect, transport, identify and store patient belongings from admitting to discharge. Patient Belonging Bag, Snap handle, 18" x 22"
Patient Belonging Bag, Fold over handle, 18" x 22"